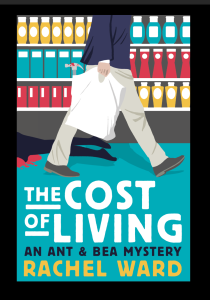 Welcome to the website of Rachel Ward, author of books for teenagers and young adults; the Numbers trilogy, The Drowning and Water Born, and now adult detective/mystery book, The Cost of Living. I hope you enjoy exploring the site. You can find out a bit about me, read about my books and what’s coming up next. You can also find out which events I’ll be visiting and how to contact me. I’m delighted to say that my first book for adults, The Cost of Living, a mystery set in and around a supermarket, will be published by Sandstone Press in September 2017. I’m so excited to see the book making its way into the world and can’t wait for you to read it. Writing it reminded me of writing Numbers – I loved the characters so much and I think that those of you who read Numbers in your teens will enjoy The Cost of Living.